That is a beautiful machine, looking forward to seeing where it takes you, or vise-versa. Missing the spirit of the post, is that front dérailleur up to its task? Steve, short answer…yes, so far.Longer answer, Mitch built this frame with a braze-on for this front derailleur which, due to the flat cage, tends to work better than some with narrow tread cranks. I've never had two chainrings so different in size, but shifts up and down are surprisingly smooth. So far, so good. Gorgeous. Two questions:1) Are you going to a rack or anything on the back for camping, or just stick to what you can carry up front, or use an unsupported saddle bag, or…?2) Bar-end shifters? Though we've never met, I'd say, from what I've gathered from reading your blog: "It's you!" 🙂 I'm anxious to hear of your experiences together. That is a work of art! 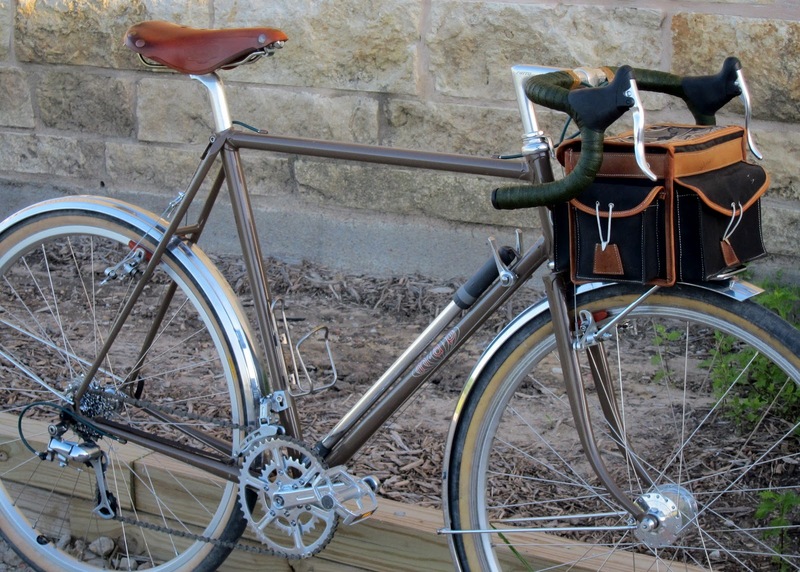 If it rides half as nice as it looks, you're going to be one happy randonneur! Now that is a handsome machine. Things that are functional and still manage to be beautiful have a special place set aside in my heart. Rombsy, this frame is so light, it really isn't intended as a camping bike. The plan is more of single day long ride bike. 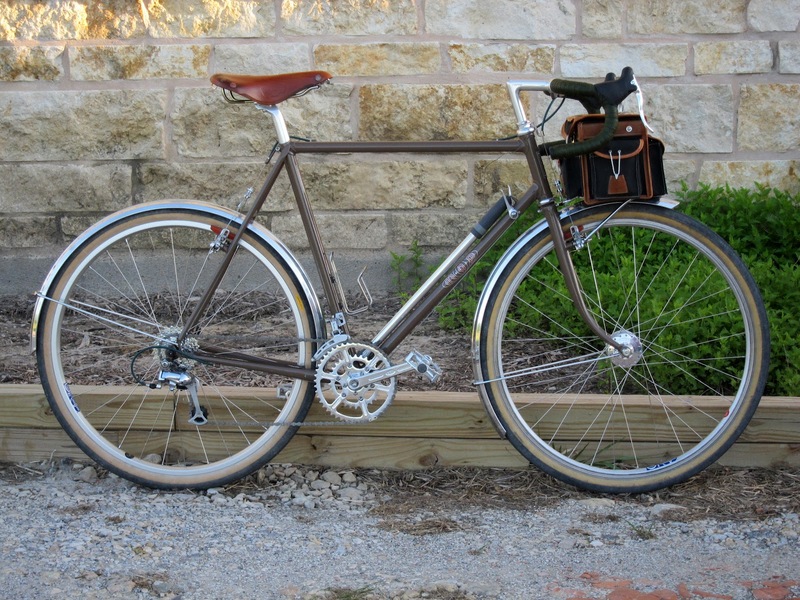 That said, I might try a saddle bag with the front bag and do credit card overnight thing some day.I've never had bar-end shifters. I'm quite comfortable with downtube shifters and enjoy the minimal, clean look without the cables protruding from the front of the bike. Jon, I'd like to get up to Denver for a variety of reasons. That cup of coffee would be near the top. Time to get it dusty! Looks like it's begging for some dirt roads. Wonderful bike Chris.